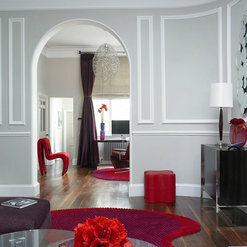 The Room Company We love what we do and it reflects in our work…. 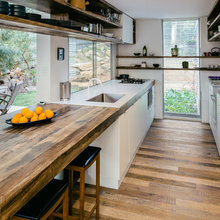 our clients value the attention to detail we bring to each and every project, our enthusiasm and the ability to translate their dreams into inspiring, functional spaces. 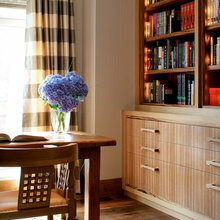 The Room Company’s unique spaces are generally inspired by a client’s favourite object, an inspirational piece or a particular style; this kind of insight helps Genny the founder of the Room Company to design exceptional spaces that fulfill a client’s dreams, needs and lifestyle. We genuinely enjoy transforming a client’s visions and ideas into extraordinary and unique living spaces The Room Company specialises in translating ideas and visions into the homes and living spaces that clients dream about. Genny’s passion for design, fabrics, colour and lighting were the foundation on which she started The Room Company in 1995. She genuinely enjoys helping clients turn ideas into reality and has built a reputation for going that extra mile or two for her clients. That spirit is at the heart of The Room Company. About Genny Genny founded The Room Company in 1995 and for over 20 years has designed the interiors of London homes located in Westminster, Mayfair and Marylebone. Over the last two decades, she has been the Interior Designer of choice for private clients and residential investment property owners who engage Genny's expertise in refurbishment services. 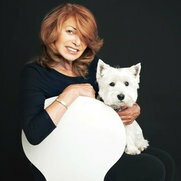 Genny is a full member of the British Institute of Interior Design. 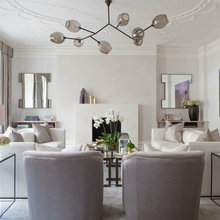 Complete and complex rebuild of a listed four bedroom mansion block flat. 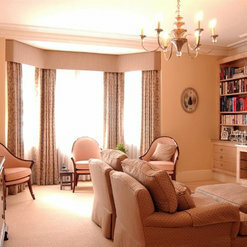 The Room Company undertook the design and project management. The result is outstanding and continues to be widely admired. I was fortunate to be introduced to Genny Henderson by my neighbor who is a good friend and former Client of Genny's. From the moment I met her I knew she would do an amazing job remodeling the flat that I inherited from my parents. I am an Interior Designer as well, and live in the US and realized that I could not handle a long distance project without the help of a professional. Upon our first meeting, Genny understood my style and was able to source out the materials, finishes and fixtures that I was looking for. She has an innate ability to interpret and articulate one's ideas and vision. Once we discussed the details of the project, we went on a field trip to various suppliers and we were able to select flooring materials, bathroom fixtures, kitchen and bathroom cabinetry, paint colours, wallpaper, light fixtures, etc. in less than 2 days. Genny has a great team of contractors and sub-contractors and between them they completed the remodeling of the entire 4 bedroom flat (2,540 Square feet) in less than 3 months! She was able to work within my constraints for budget and time. Genny is an extremely talented professional Designer with an incredible eye for aesthetics. And what impressed me most is that the client/designer relationship evolved into a bond of friendship that has lasted to this day! We engaged The Room Company in a number of flat/maisonette refurbishments, including a whole building of 12 flats over a number of years. 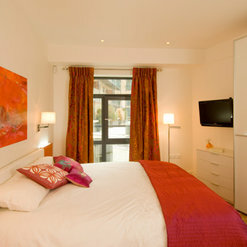 The quality was excellent and all projects were delivered on time, on budget and the expected high standard. Most apartments were rented within very sort space of time. Commented: Decorate Master bedroom help plsBest of luck on your project! 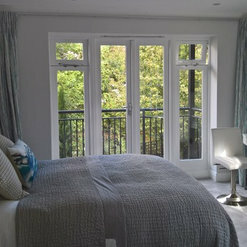 Here is a bedroom we completed in Marylebone. I'd recommend something light and colorful!